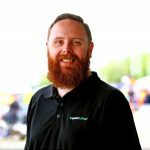 Steven Johnson dominated the final Paynter Dixon Touring Car Masters race of the weekend at Sandown with a measured drive to lead every lap of the encounter. He headed home Paul Freestone and the recovering John Bowe, who scythed his way back through the field after avoiding opening turn drama. Adam Bressington and Jason Gomersall spun at the head of the field on the opening lap, with Brett Curran tagging Bressington’s stricken Camaro which sat broadside on the exit kerb. All got going, though it afforded Johnson a near two second advantage just two corners into the 10 lap race. A stunning opening lap saw John Bowe climb from 21st to 10th after he started at the back courtesy of a retirement in Saturday’s Race 1. Contact further around the opening lap for Alan Boughen saw the Mercury Comet carrying damage to the front right corner. Freestone and Hansford soon found themselves locked in battle over second, just ahead of a ferocious scrap between Tony Karanfilovski, Mark King, Jim Pollicina, and the charging Bowe. 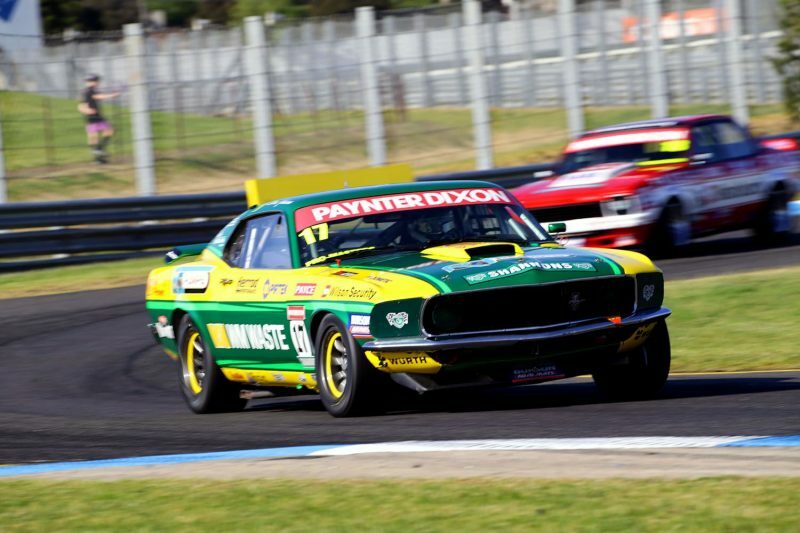 A brave move from Hansford saw the Torana driver go the long way around at Turn 6 to seize second place from Freestone. Aaron McGill had a spin before he rejoined the circuit with flames licking the underside of the Ford Falcon XY GT, which he returned to the pits and retired from the race. The race stayed green, with Johnson commanding the race from Freestone and Hansford as Bowe began to menace Karanfilovski. Despite clearly holding more speed in the Torana, Bowe was forced to work hard to pass Karanfilovski, who only ceded the place under brakes into the final complex with just over two laps remaining. Hansford’s third place was soon at risk as Bowe out-dragged the fellow Torana to take the place at the end of the front straight on the following lap. Time was then against the veteran moving any further forward, shadowing Freestone to the flag who in turn was less than a second behind race winner Johnson. The result confirmed Johnson as winner of the round ahead of Freestone in a career best weekend, with Hansford third.